The brilliant wedding of Mark & Lee took place at The Langstone Hotel, Hayling Island, Hampshire, on Friday 15th July 2016. 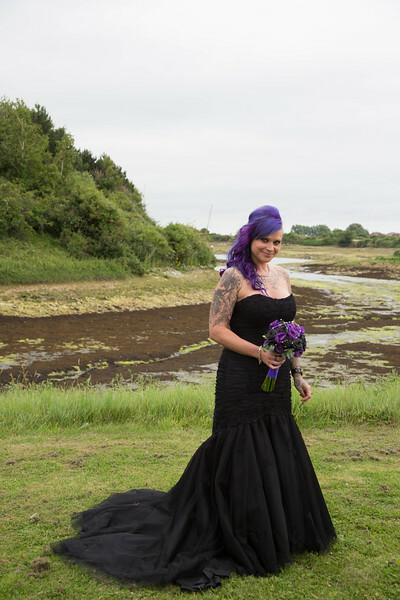 This was my first experience of a wedding involving a black wedding dress. Lee managed to show it off beautifully. Family & friends had a truly wonderful time. This was late in the day for a wedding at 17.30. We were hard pressed to get as many photos taken in the short time allowed, between the ceremony and reception.